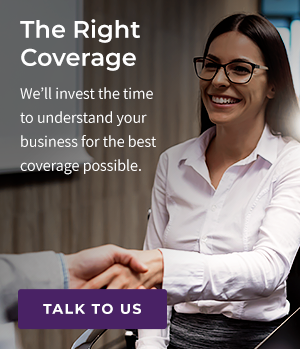 From technology to transportation, our commercial insurance experts are here to help you find the perfect coverage for your London, St. Thomas or Goderich based business. You've built your business from the ground up and work hard every day to ensure its viability. We think the last thing you should be worrying about is your insurance coverage. That's our job. When you work with McConville Omni, you benefit from our 70 years of experience and ability to negotiate the best policies at the best rates with the industry's leading insurance carriers. Our team will invest the time and resources to properly understand your business and its risk points. Then, based on the very specific needs of your business in terms of liability, legal coverages, and other coverage options, we'll recommend an insurance package that protects your business operations while helping you manage costs. You can rest assured, whatever your business focus, we will help get you covered properly. Insurance solutions for all sizes of manufacturers, including automotive, specialty metal fabrication, plastics and printing. Building contents, inventory and liability insurance for auto dealerships in London and South Western Ontario. Food service, restaurant insurance or bar insurance keeps your Ontario hospitality business operating smoothly. From owner-operators to full fleet businesses, customized transportation insurance options that keep you moving. Coverage for recycling operations, waste disposal, waste transportation, and other waste management businesses. Policies designed for the unique risks associated with electrical businesses, including general liability and property damage. Specialized business insurance for Ontario based IT consultants, software & game developers, data centres and more. Peace of mind for craft breweries knowing their premises, equipment and operations are insured for potential risk. Our team works hard at making sure your business is insured with the right policy at the right price. We listen, we take the time, we think strategically on your behalf. All because we are committed to helping your business be successful.